Some people argue that old workers are not responsive to speed up changing views in the well-developed workplace and that for these case younger workers are to be preferred. This report will give a brief descriptions of extent I would support or reject this idea. It is my belief that old workers are unchangeable. 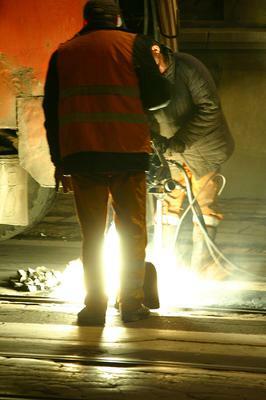 It means that workers over 50 have necessary knowledge and yearly experience which have not young staffs. Although, old workers are responsible and appreciate their workplace. Because, if worker worked in one place lots of year, he begin values his workplace and feel big responsibility for his job. Another view on this that old workers do not need in career grow and in extent of wage. On the other hand, workers over 50 have their own methods, tactics and secrets which they involved in lifetime period. However young staffs have speed and knowledge about new techniques. They have fast changeable views about workplace and level of wage which they can get. Generally say young workers have not enough experience. Also they can change themselves sights about job under pressure of others or superiors. This suggests that their fast changing ideas can lead to bad consequences. For instance, someone can offer them a lot of money and some higher position on workplace, young staff immediately go after him and his ideas. Case such this lead to break rules of government and law, after that they are in prisons. To return to my original idea, that old workers have very high price in workplace. Because they can share experience with young generation and forward them in right way. I am finally reject those ideas. 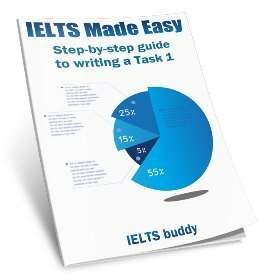 You can comment below on this Employment and Older People Essays in order to help this student improve their writing score for IELTS. You have quite a big problem with your grammar in a number of places in your essay, which in turn is making it lose coherence and causing difficulty in following your ideas. 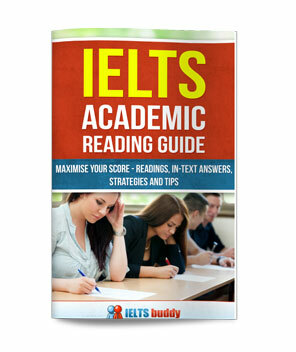 You make quite a few errors with complex sentences and your clauses so check out the grammar pages on IELTS buddy which deal with this, and in particular the pages on adverbial clauses as you have problems with these. Thank you for ur attention and feedback. Can u tell what score i can get for this essay (approximately). I don't give scores but take a look at the public band descriptors. 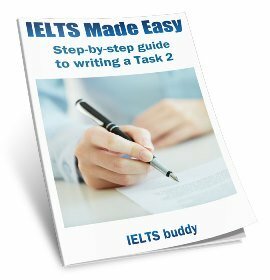 To get a band 6 you should be able to write complex sentences and an essay should be coherent, in that it can be followed without difficulty. You can easily solve it with help of this video lecture. Also I advice you to start reading writing blogs. For example, I'm running this one. 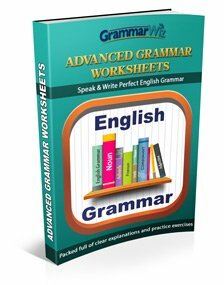 Not only it helps me to improve my grammar, spelling and style; it also helps me socialize and grow as a Writer. Please check my essay task 2 on Working and Retirement and tell me my grade. Some countries make it illegal to work past the age of 65. Do you think people should be forced to retire at a certain age? In my opinion, yes people above 65 years should be not allowed to work. With increase in age there is a decline in health in many respects which retards the ability of a human to work effectively as compared to young adult. According to human physiology, brain is made up of neurons which is a building unit. Some cells stores memory, certain areas are involved in cognitive functions, others deals with intelligence work, decision making abilities. With advancement in age brain cells starts degeneration process, in which many brain cells die and particular brain function is loss. this process is irreversible. Alzheimer’s disease is an example in which memory and cognitive function is lost. Similarly, loss of cerebellar functions leads to difficulty in balancing, writing reading and smoothness in work. So a person with such difficulties cannot work effectively. A surgeon who is 65 years old operating heart, dealing with life, where delicacy, perfection and patience is required cannot work as perfect as a surgeon who is near 40 with same qualification and same capabilities irrespective of experience. So in my view, geriatrics above certain age when their medical and visual senses starts compromising, should be forced to retire. Government should start some pension scheme to support those unemployed seniors so that they can live their further life satisfactory. Engaging them in some community work or opening old people centres can decrease their unemployment depression. Cohesion and coherence tip top, this is a good essay which definately fetches highest band no doubt about it. l would love to practice and have the gist the write such top quality vocabulary which is smooth flowing. Some people are of belief that, workers of old age are not as responsive as young work force in today's world where ideas change rapidly. I am not a proponent of such a belief. To start with, one argument which is in support of young workers is that, today's younger generation are very energetic, enthusiastic and so can react sponteneously to any situation put accross them at work. However, they are not very determined and so lack concentration while at work. For, instance, a group of young people working at the office could be distracted very easily if there is a football or a baseball match that is being telecasted live in an office cafeteria. On the other hand, we have old age people who are very determined towards their work. These people also get along prolific experience with them which, sets them apart. They can use their experience to analyze new ideas and make wise decisions which could potentially benefit the company that they are working for. Another advantage that old age workforce have is, the leadership quality in them. These leadership quality of these people could be conducive to drive the young force in the direction. For example, if a huge company like Apple, has to launch a new product in the market, the business leaders could guide their junior's through the journey of the new product launch from manufacturing to production to launch, to make it a huge success. All in all, I reckon that, old age people are surely responsive and open to new idea. Their experience and other quality attributes could be used in combination with young generation characterstics to facilitate the success of their respective employer. What do you think of this Work and Career Essay? Feedback below in order to help this student improve their score. Can someone please, let me know what band should I expect for this essay. I have finished another topic. Please take a look at it. The increase in people's life expectancy means that they have to work older to pay for their retirement. One alternative is that people start to work at a younger age. Is the alternative a positive or negative development? Due to the developing competition between many countries in the world, some opinions argue that people should start to work in younger age, instead of working older in order to pay for their retirement. From an objective perspective, I strongly state that this is absolutely a negative development. Firstly, the studying abilities of youngsters always are assessed higher than elders. The period of adolescent time should be used for consolidating their knowledge and working skills, and this will be a spring board to be a cutting edge of their occupation in future. Because, turning the deliberated eyes to this issue, governments, especially the developed nations, have been investing in the tertiary programs in order to rise the effect of human and financial resources , as well as leading the development of economy simultaneously. It is can name the cases of England, Australia, USA, etc, not only does the tertiary education play an important role in providing the great number of effective employees who come from those nations but also it has attracted others who come from other nations. Furthermore, the occupation age is frequently synonymous with the class of experience, and it is obvious that youngsters could not win elders in this competition. Working experiences have been contributed day by day and this factor makes an employee who has capable of doing professional skills. For instance in Japan, with the law that extends the residents' working process, the economic efforts are ameliorated rapidly and obviously became the paragon for developing countries. To conclude, as the aforementioned opinions, I strongly support the laws that extend the working age for retirement instead of encouraging to work early. I see that you pointed out two opposites main ideas. However, the topic doesn’t ask you to "discuss both views". In my opinion, choose one side clearly and support that side with all your paragraphs. 1. "Firstly, the studying abilities of youngsters always are assessed higher than elders"
2. "this will be a spring board to be a cutting edge of their occupation in future. " => Springboard (no space) for them to become a cutting edge … in the future. => The phrase "Turning the … to this issue" doesn’t sound naturally. It sounds like you tried to show off difficult words in the essay. Don’t let them think like that. 4. "governments, especially the developed nations, have been investing in the tertiary programs "
=> Present perfect continuous is used when you want to emphasize the amount of time that the action has occurred (always have the amount of time when use present perfect continuous). In this case, "have invested …" is enough. 6. ", as well as leading the development of economy simultaneously"
=> There is no comma before "As well as". => Lead has the same role with "rise". Also, using "lead" here is not correct. => You may use "aim for" instead of "leading" here. 7. "It is can name the cases of England, Australia, USA, etc,"
=> "is" and "can" in a single sentence!? => When you use UK, US, USA, please add "the" before it. THE UK, THE US. => In this case, "effective work force" is much better. 9. "who come from those nations" => domestic residents. 10. "but also it has attracted others who come from other nations." => But also can attract international students. 11. " is frequently synonymous with". What do you mean when you used "frequently" there? 12. "class of experience". Do you mean "level of workers"? 13. "could not win elders in this competition" => "cannot win elders in this field"
- Exprience can be used as an uncountable noun. You use it when you're talking about knowledge or skill which is obtained from doing, seeing or feeling things. - Experience(s) is also a countable noun, but when you use it the countable form you are talking about a particular incident or incidents that affect you. => What do you mean when you wrote "working experiences … day by day" ? 17. encouraging => encourage. Same role with "extend"
People live longer today and so people should stay in the workforce longer. The average life expectancy of an individual has increased in recent times. This is probably because of the availability of Newer and more efficient Health products. Should people be expected to stop working because they are of age, even though they are healthy? It ought not to be so. There are severally benefits to working at an older ager. According to a British study, working longer is unequivocally linked to living healthy. Sedentary lifestyle is a risk for many old age diseases like high blood pressure, arthritis and a lot more. Forcing people to retire because they are of age will likely reduce physical activity which will increase their risk for diseases mentioned above. Nevertheless, certain standards should be in place to ascertain who is not of optimum health because such individual will need the rest that comes with retirement. The choice of working and making more money should be the right of an individual. If an individual decides to work to earn extra money for the future, the law should not be the limiting factor to such a right. On the other hand, a lot of senior citizens if given the choice of remaining in the work force, they will choose not to, because most of them will prefer to spend their time with family. At the same time, people remaining in workforce also contribute greatly to the economy of the country. So long as they are involved in the provision of goods and services, the economy of the country will grow. Some might consider they leave the work force so that there will be room for upcoming individuals to get jobs, Government should enable or encourage them run small businesses of their own which eventually contributes to the economy. To reiterate, the choice to remain longer in the work force should not be a factor of age, rather dependent on choice and medical fitness. Consequently, the presence of this individuals in the workforce will contribute immensely to the economy. Task achievement is 4.The essay did not address what was asked. Lots of clever ideas. However, major grammatical issues arise and other errors appear including the omission of words in a few sentences. Your opinion on the matter is not clear and the overall impression left on the reader is that he needs to try to figure out what you really think - which is not good.